Each issue of YOUR magazine will feature one not-for-profit within the following seven fields of interest. Time, Treasure & Talent – What can you give? Everybody has a cause close to their heart; one in which they would be willing to be a more active participant. What’s yours? TIME – Although everyone has a hectic schedule the gift of your time to an organization can be incredibly rewarding whether it is an hour a month or a day a week. This time is invaluable to an organization, as people power is often the largest cost for a not-for-profit and time is in the highest demand. Volunteering can give seniors an opportunity to be back in their community filling a meaningful role, while many students can often obtain credits in both high school and university for their time. Bottom line, giving your time is a gift to any not-for-profit, and realistically you will most likely benefit just as much! TREASURE – There has been much written about the financial benefits of giving treasure to a registered charity. The monetary benefit is a tax receipt while the personal benefit can range from the great satisfaction of gifting funds anonymously to having ‘your name up in lights’, and everything in between, seeing your dollars at work in your community. 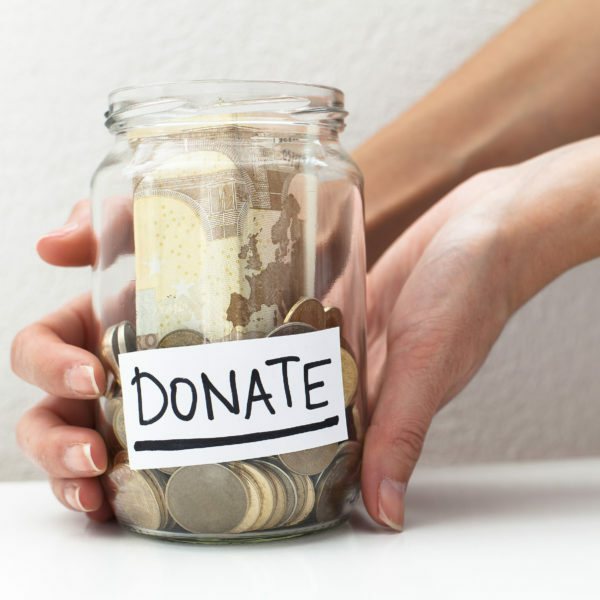 Without private financial donations few organizations in your community would survive. TALENT – Everyone has skills or knowledge to offer the community whether they realize it or not. Your gift of talent could range from driving seniors to appointments, serving food at one of our community shelters or food banks, writing reports, helping with strategic planning, guiding financial decisions, helping clean a local beach or park, swinging a hammer at a community housing project, or taking a seat on a board. Any one of these or other ways of donating your skills could benefit the organization and the community, while making you feel good as a contributing member; plus you never know what may happen or who you might meet.